Second day in a row for a make-shift Greek salad. I just can’t get enough of this salad! 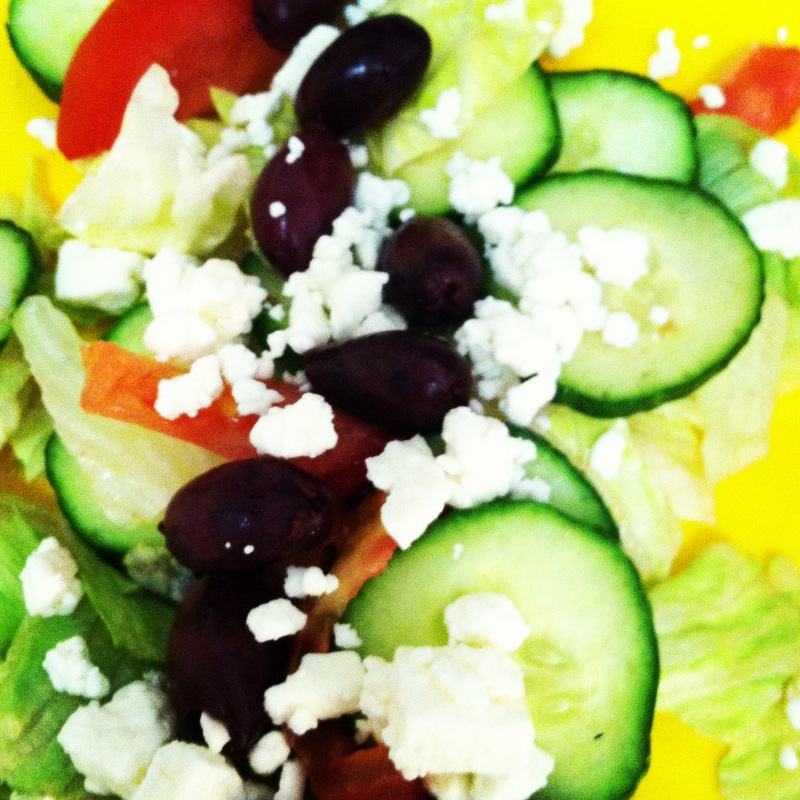 Lettuce, cucumber, tomato, feta and kalamata olives. Love the sweet, tart, and salty flavors of these ingredients! One of my favorites of all times! Let the ice cream adventure begin!! !